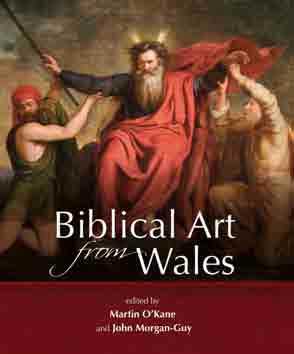 This lavishly illustrated volume showcases the wide variety and range of biblical art found in Wales, much of it little known and hitherto unpublished. It explores the significance and influence of the Bible in the visual culture in Wales in the nineteenth and twentieth centuries – from the simplicity of the Nonconformist chapel and the synagogues to the colourful array of stained glass found in many churches and the icons of the Orthodox tradition. Biblical images from special collections in some of the main repositories of Wales such as the National Library, the National Museum and the Aberystwyth School of Art have also been included. Throughout Wales, the Bible has been interpreted and illustrated in a surprisingly wide range of media: in paint and sculpture, needlework and ceramic, woodcarving and engraving. The illustrations in the book (some 300 of which are in colour) include examples from several media and demonstrate how the process of ‘visual exegesis’ was an important feature of religious and cultural life in Wales in the nineteenth and twentieth centuries. Seventeen scholars, drawn from the worlds of visual culture and biblical studies, including Peter Lord, John Harvey, David Jasper, Christopher Rowland, Philip Esler and Sharman Kadish contextualize and offer original and insightful interpretations of biblical artwork from the period. As well as evaluating the work of particular artists such as David Jones, John Petts and Ivor Williams, specific examples of Pre-Raphaelite work in Wales and in the artisan visual tradition are also discussed. The volume is accompanied by a DVD which adds a further interpretative dimension. It contains over 600 images and allows the reader to explore further subjects introduced in the book, arranged and structured as seven key representative themes such as Word and Image, the Bible in the Welsh Landscape, Domestic Piety, and so on. Both the book and DVD are supported by an online database of images. From the DVD one can click directly into the online database (which contains over 3,000 images), hosted by the National Library of Wales, to find out more information about the context of individual images. Martin O’Kane is Senior Lecturer in Biblical Studies in the Dept of Theology and Religious Studies, University of Wales, Lampeter and Director of the Centre for the Bible and the Visual Imagination. John Morgan-Guy is Research Fellow in the Department of Theology and Religious Studies at the University of Wales, Lampeter.